Food which is wasted usually ends up in a landfill. In order for food to start decomposing it requires light and air. Without either, it turns into methane gas, which adds to general global warming. Most homes end up buying more than they need on a weekly basis, due to several factors – busy dads, rushing mums, clever kids – and much fresh food goes off before families can use it. This is called – POOR PORTION CONTROL. In order to make your contribution to World Environment Day this year and Reduce YOUR Foodprint, there are several ways in which you can go about it. Plan your meals for at least one week by first checking what you have left from the previous week in your fridge but also in your cupboards and larder, and think of recipes which can accommodate these ingredients. When you are at the market or grocery store buy what is on your list – all you buy beyond it will most probably end up as waste since all your meals were already planned. Check if defective rubber seals or ice accumulation hinder door closure and whether fridge temperature is appropriate to what it contains – food stored between 1 and 5 degree Celcius maintain their freshness longer. Food which is turning soft or beginning to wilt can still be eaten – fruit can be turned into smoothies, fruit pies or jams and vegetables into dips or soups. Leftovers can be transformed without losing their quality – they can be eaten cold with other ingredients, mashed into patés or provide extra flavour to new dishes. Re-arrange your kitchen cupboards and larders frequently so that older items get pushed to the front and new ones placed at the back so that all your ingredients are eaten as they are bought. If your portions are served in small doses it is always possible to come back for further helpings instead of finishing meals with leftovers on the plate or eating what you don’t really want, just to be polite. When you shop avoid pre-packed food and choose only what you require for your week, thus avoiding carrying home more than you can eat or store correctly. Separate your food into portions appropriate for single or family meals thus allowing flexibility in your weeks’ recipe planning. In this way you will always cook the appropriate amount each day. Even without a garden you can turn your home into one if you use fruit and vegetable peelings and even cooked food waste into special bins which will turn them into rich compost for any plants or hers that you are growing. We should start by wasting less and this means changing our attitude towards finding coordinated solutions in our societies. Essential changes in the way supply-chain operations are carried over are at the heart of the problem, followed by giving incentives to local markets and increasing public awareness to adjustments made to change consumer behaviour. – Local authorities should set themselves targets for food waste prevention information campaigns at local schools and implement measures in their own operations such as starting a municipal composting programme. – Local markets and businesses should look at their perishables, try to understand and analyse the extent of their own waste patterns and start adopting best practices to lead not only to customer satisfaction but also savings. food that is lost between harvest and sale. – There are many reasons why produce may not be harvested. It can be due to disease, pests, or weather. But it can also be caused by man, with food safety scares often unfounded that create a negative notion on consumers and decreased demand. – It can be also due to labour shortages or workers trained to only pick selectively and fields may be left with significant amounts of food left behind. This is when communities could come together and organize the means to pick what is left behind, using association at school and other levels. California gives farmers a tax credit for donation of their excess produce to food banks, just as do Arizona, Oregon, and Colorado. But the primary reason for fresh food losses comes with culling. These post-harvest losses are considerable (sometimes up to 50% of production) but the items are perfectly edible. Those which are off-grade could be processed. In order to make this viable the processing plants should be built as close as possible to the source to save on transport costs and have the capacity to handle this excess produce, otherwise more waste will occur. Off-grade produce also goes to feed animals, and although loss through improper storage and handling are negligible these days, much fresh produce can go to waste if a buyer cannot be found on time. Processing facilities can also generate food waste by technical malfunction but there is great potential at this stage from trimmings which can be used from scrap to new by-products by re-cycling. Local businesses such as hotels and restaurants should create partnerships with local farmers to use up quickly and effectively all product which is useful to them and programmes to re-educate staff behaviour and alter kitchen culture could contribute to minimize food waste. Lisbon wants to be one of the first cities in the world to go fight food waste. With project Lisbon 100%, Re-Food wants to serve over 15,000 meals per day from leftovers from restaurants and hotels. They are looking for volunteers and restaurants as partners. Food is the largest part of municipal solid waste to go to landfills nowadays where it eventually gets converted into methane, twenty-fold more powerful in global warming terms than carbon dioxide. Culling is the process of selection of surplus animals from an animal population and in this content means the removal of unwanted products based on their quality or appearance, including size, shape, colour, weight, blemish level and Brix (a measure of sugar content). Without sufficient quality to be sold in major markets. It is from the Netherlands that solutions are coming to deal with the plastic which we throw away everyday. This has accumulated in the Pacific and elsewhere as islands in the middle of an area called “The Doldrums”. Charles Moore came upon these islands made of plastic debris in 1997 when he was returning home from a transpacific race and called attention to this fact with his article “Trashed: Across the Pacific Ocean, Plastics, Plastics Everywhere”. These “doldrums” are areas where there is little wind and anything that floats finally finds its way there – bottles, fishing wires, nets and bags. There are five similar areas around the planet with these characteristics and, they are now the most contaminated in the world. About 250 billion pounds (lbs) of plastic pellets are produced for the manufacture of plastic products every year and the consumer has to start consciously to look for alternative products to use in their daily lives. WHIM, a Dutch architectural firm has designed a floating island for the North Pacific Gyre and would be totally built in plastic. The idea is to recycle the plastic on site and thus avoid shipment of materials across the ocean. 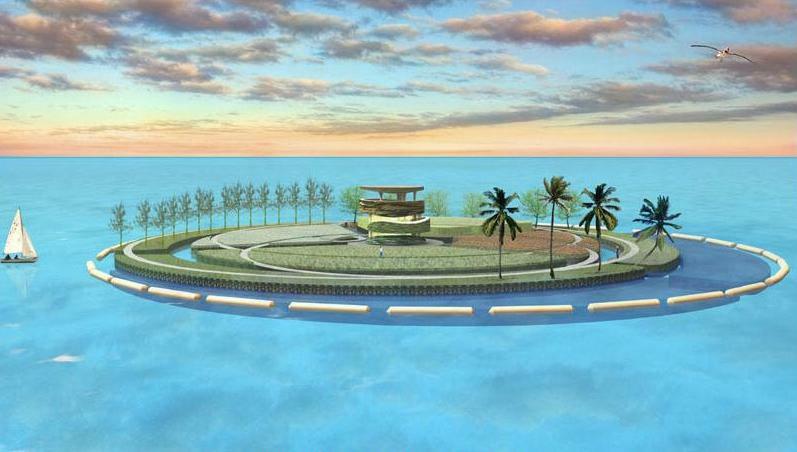 It will be an eco-friendly island housing 500,000 people. Apart from the urban areas, the island will have beaches, agriculture and mainly seaweed cultivation. The project covering 10,000 square Kms is being funded with a grant from the Netherlands Architecture Fund and will be completed in 2020. The island will use 97 million pounds of floating plastic found in the area, be powered by wave and solar energy, with seaweed used as bio fuel in homes and fertilizer in the fields. The firm has also conceived a hollow plastic brick which will be used as the base for the construction. The new community will be self-sufficient and could serve as a model to many more where plastic has accumulated on the five oceans, also helping to create more habitable land for all. The fact that it is between San Francisco and Hawaii will also help in bringing tourists who are looking for a sunny vacation. From the Netherlands as well comes another idea to clean up this area of the world by literally removing all plastic debris by suction. A monumental hoover. The idea came from a 19 year-old-student who in 2011 handed in his final paper at the local secondary school with his solution to saving the world from the accumulated debris in the five gyres. The research focused on plastic and plankton separation, the depth of plastic within the top layer and other depth measurement devices and won the Best Technical Design at the Delft University of Technology in 2012. The results of his studies were brought to the world through TEDxDelft 2012. 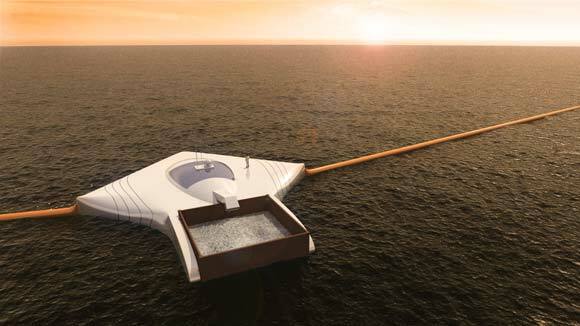 At iSea Clash of The Concepts, The Ocean Cleanup project was awarded second prize by the Dutch Ministry of Infrastructure and the Environment in 2013. The idea for a platform-shaped manta came to him while he was underwater diving in the Azores sea. The idea is to build 24 Manta platforms fixed to the sea bed and through filtering let the ocean currents do the work. The plastic collected would be recycled and… re-sold, a business predicted to fetch 500 million dollars. What Charles Moore had predicted 15 years ago as 79,000 years to clean up the oceans of plastic debris has been narrowed down to 5 by Boyan Slat’s invention, to clear up the Pacific plastic island, now the size of 6 countries the size of France. Our operations began this millennium, with Eco Adventures offering outdoor recreational activities for children and adults. Eco Adventures was born out of our owners’ fascination with the natural environment, Barbados’ heritage, and a desire to share these Barbadian treasures. It’s amazing how this island was formed, and how Barbadians lived long ago, and why there are many scores of Barbadian centenarians. Our tour guide Victor Cooke with the assistance of his wife Melva share with tour participants Barbados’ flora, fauna history, culture and geology. Regarding the local flora we explain their various applications; for the fauna, their role in the eco system’s balance is explained in terms of contributing to a healthy environment (from the ants, to millipedes, bats, birds and more). Barbados’ unique geology is one that is shared in our easy to understand “Geology 101”, this is when the significance of the island’s coral stone cap or karst (which covers 85% of the island) and it’s over 482 kilometers of ravines is shared, especially as they relate to Barbados’ water supply and pollution. Included in our geology story is also the fragile nature of the 15% of the island, which is labeled the Scotland District or Ancestral Barbados to geologists, in terms of how it must be treated as regards building construction, waste water, animal grazing and certain recreational activities. The island’s transformation from the settlement of the English in 1627 to the first thirty five years is a remarkable story of land subjugation and environmental irreversibility; we explain its effects and current laws regarding trees. In our bid to encourage Barbadians we offer moonlight camp out events that Barbados by night and the dawning of a new day may also be appreciated. Non campers are not left out as we offer moonlight walks and sunrise hikes. On one of our popular trails participants experience how a community of naturalists live and interface with their environment, utilizing the natural spring water for all their needs. This trail led by Victor Cooke is used annually by a local school to expose their students to the water cycle. Victor is a member and volunteer hike leader for the Barbados National Trust’s (BNT) popular Hike Barbados Sunday hikes. The BNT’s mandate is to preserve Barbados’ natural and build heritage. The Barbados Museum & Historical Society of which Victor is a member shares a similar mandate. 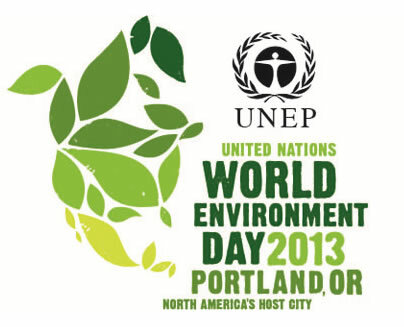 World environment day (WED) – or ECO DAY – can be celebrated in many ways in 2013. The 5th of June was used by the United Nations to bring to the fore global awareness on environmental issues and also help people around the world take positive action. It came about 40 years ago, and it comes around in a different city with a different theme each year during the week of the 5th of June. The host city for 2013 is Portland, Oregon. It is celebrated in spring in the northern hemisphere and in autumn in the southern hemisphere. And this year’s theme is THINK.EAT.SAVE – REDUCE YOUR FOODPRINT. It is a reminder of the 1.3 billion tonnes of food wasted or lost worldwide – 1/3 of global food production – when one in seven people in the world go hungry and over 20,000 children under the age of five die daily from hunger. Food waste represents an enormous drain on natural resources and has negative environmental impact. Think.Eat.Save should start at home, where each family should select food consciously by buying food produced locally, managing it wisely so as to reduce waste, use fresh food as opposed to canned or frozen food and think creatively of how to serve leftovers. Think.Eat.Save should grow to your neighbourhood suggesting what collective decisions can be made to reduce distribution costs and creating incentives for local daily or weekly markets to be chosen over supermarkets. Think.Eat.Save should grow to the industry by making the food production chain more efficient, with increased regular equipment maintenance so as to reduce time and cost of all production processes, thus saving on natural resources. and produces 30% of greenhouse gas emissions. It was first thought of at the United Nations Conference on the Human Environment (5th June- 16th June 1972) and implemented a year later – http://www.un.org/en/events. “The State of Food Insecurity in the World 2012” – UN Food and Agriculture Organization (FAO) –http://www.fao.org/publications/sofi/en. Parliament Calls for Urgent Measures to Ban Food Waste in the E.U.,” European Parliament News, January 19, 2012, http://www.europarl.europa.eu/news/en/pressroom/content/20120118IPR35648/html/Parliament-calls-for-urgent-measures-to-halve-food-wastage-in-the-EU.